Helper for generating generative PCM snippets. 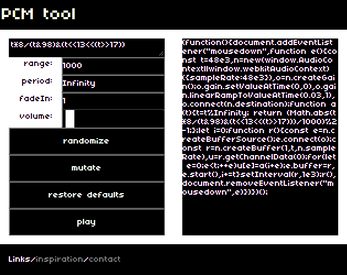 Output is a self-contained script which starts the audio on mousedown. Click on output to copy to clipboard. the layering in this one is fantastic!